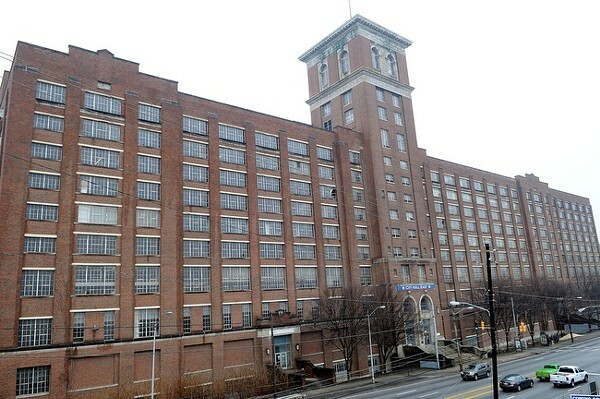 Green Street Properties inked a deal to purchase Atlanta’s City Hall East (the old Sears building) for $27 million. The Atlanta City Council must still approve the sale. Green Street Properties proposed redevelopment plans include 20% small and mid-box retail space, 40% residential and 40% office space. Green Street Properties is “a national green consulting and development firm focused on creating sustainable urban properties. Green Street is a subsidiary of Jamestown, an international real estate investment and management firm that has acquired over $8 billion in US real estate.” It is best known in Atlanta for Glenwood Park. The Atlanta Regional Commission designated six metro-Atlanta municipalities “Green Communities” for their efforts to reduce their “environmental footprint,” such as reducing energy and water consumption, cutting the amount of trash and air pollution produced or investing in solar panels and other means of producing “renewable” energy. DeKalb and Douglas counties and the cities of Atlanta, Roswell, Fairburn and Suwanee – join Cobb County and the cities of Decatur and Alpharetta as “Green Communities”. Conyers may be the first city to go live with anew green building ordinances mandating that all new residential construction and city government buildings 5,000 square feet and larger met earth-friendly specifications beginning January 1, 2009. The Conyers ordinance cites guidelines from the U.S. Green Building Council’s Leadership in Energy and Environmental Design, or LEED, and Atlanta-based EarthCraft as ways to enhance public health and welfare. The Conyers City Council will vote on the proposed green building ordinance on October 1. The City of Atlanta is circulating its second draft of its own proposed green building ordinance. Construction of single family homes is excluded from the proposed ordinance, but will be included by later amendments and required by the year 2012. The Atlanta City Council is expected to vote on this first green building ordinance in mid-November and has plans to consider amendments within the next year. Here is a pdf of the proposed Atlanta ordinance. Chamblee has already adopted a mandatory green building ordinance for all new construction of a commercial building, office building, industrial building, multiple residence or senior citizen multiple residence equal to or greater than 20,000 square feet of gross floor area space that will become effective after April 1, 2009. Doraville has passed a similar ordinance. Roswell and DeKalb County are considering following suit. According to the experts, green building ordinances add approximately 5% to design costs and 2-3% to construction costs, but the extra costs are recaptured in energy savings in the first three years.